I was talking to a friend the other day who now has a roadbike, adding to his other very upright Dutch bikes. While I do not know if he is going to do any racing or serious training, I find it interesting that someone who is very much a city bike rider is now moving to road riding, a very different form of riding. And he is not the only one I know making such a transition. My first serious attempt at riding as an adult was on a roadbike. 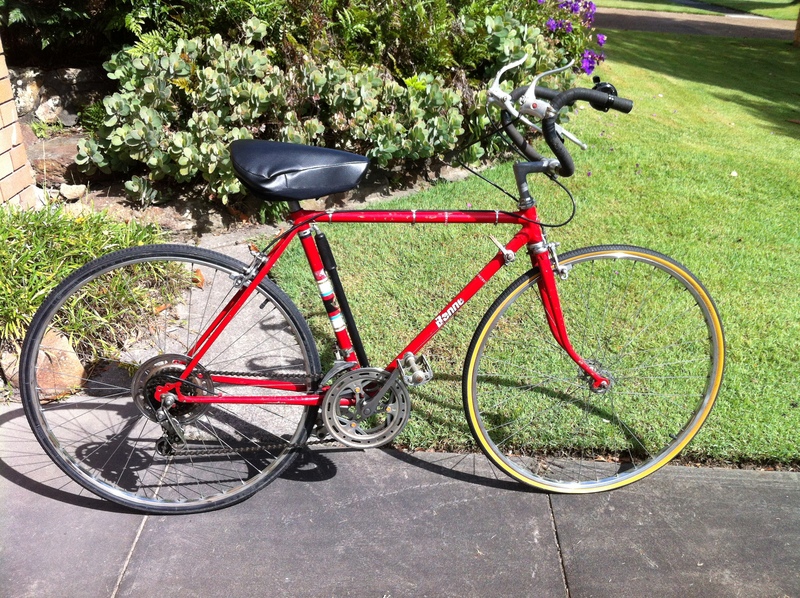 I decided to do a triathlon and there was a roadbike avilable for me, a late 8os 10 speed, very similar to my current Bennett was in its original incarnation… Except mine had the handlebars turned down the proper way. And later, in my quest for more speed, I had aerobars fitted to them. It took some time before I was confident enough to ride with my hands in the drops position, to get the hang of using the 10 gears properly and longer again to use the aerobars. Cycling was not my first sport, I only decided to do a triathlon because someone told me they were much more fun than the running races I had been doing, they were right! 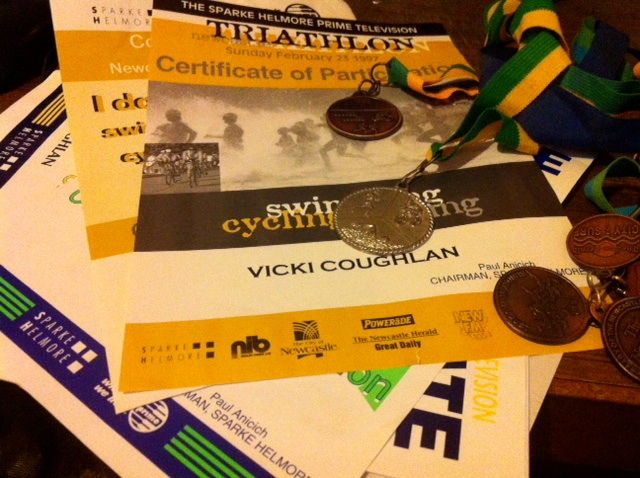 So my first tri was not my best one, but I enjoyed it enough to come back and do many more. Some old memorabilia! So when I saw this lady cycling along slowly on a bike which was new, but very similar to my Speedwell in its styling, I was delighted to talk to her, as she told me she was just learning to cycle and was riding around the block to build up her stamina and confidence… My only piece of advice to her was to stay away from the car doors! All very different journeys to the same form of cycling – that of cycling for transport. But cycling is kind of like that, it is addictive, and the more you do of it, the more you want to try it in all its different forms. This entry was posted in Uncategorized and tagged about me, Bennett, speedwell, triathlon, vintage bike, women on bikes. Bookmark the permalink. 5 Responses to Does doing one type of cycling make you more likely to try another type? Yes, I see what you mean. I’m interested in a single speed bike for its simplicity. I’m currently looking; if the right one comes available and is cheap I may snag it. My difficulty is finding a large enough size. I have 2 bikes for 2 separate reasons, having only in the last year bought my first bike in 20 something years I purchased a 21 speed hybrid with flat handlebars and skinny wheels. This bike is used to commute to and from work and generally to build my fitness. 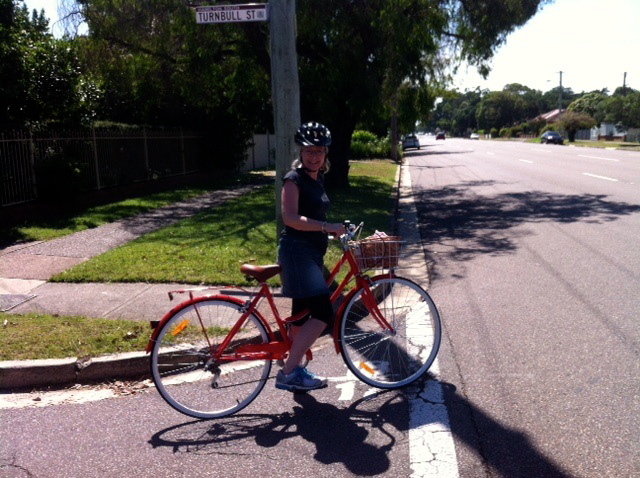 The second bike just recently bought is a single speed, coaster brake beach cruiser, my wife has a similar bike and is her only bike. 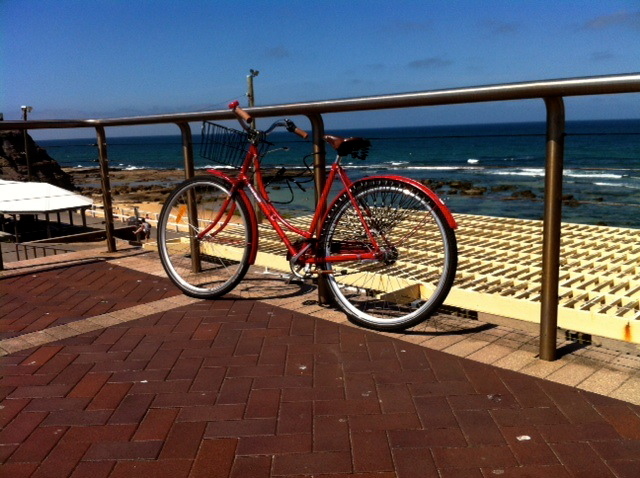 We both use the beach cruisers for weekend rides along the many cycle paths in our city, taking our time and just enjoying the experience. So would I have bought the second bike if I didn’t own the first, probably not, and sometimes its nice to ride a cruisey type bike over a bike built for speed. Three more people who need to get different bikes. I like all those choices too. If space wasn’t an issue I shudder to think how many bikes I would get.